She's not afraid to experiment, and it really pays off! 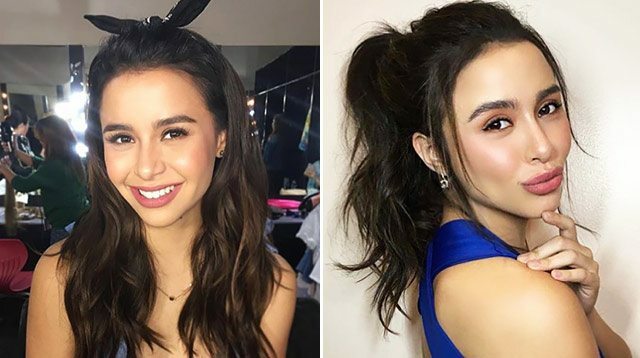 Besides her dance moves and acting talent, we couldn't help but get jealz of the many hairstyles Yassi Pressman can pull off. She isn't afraid to try new trends, but she also knows how to balance her look with classic 'dos. Check out our faves below! 1. For starters, a messy ponytail doesn't look magulo on her. 2. She knows how to make a classic pony more interesting by simply adding cool hardware. 3. She did the same trick when she wore a high bun. 4. Also, she makes us want to finally get bangs. 5. How can she even pull off tiny coils? 6. She makes us want to resurrect the 2016 celeb hairstyle favorite, the half-up top knot. 7. We know this is just a wig, but we think rose gold locks look amazing on her. 8. Okay, you have to agree that Yassi is super cute here! 9. If we had it our way, we'd cop her voluminous salon blowout as our everyday hairdo.